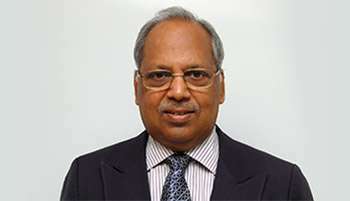 Dr. T. V. Rao is currently Chairman, TVRLS. He is associated with the Indian Institute of Management Ahmedabad for the last 45 years in various capacities, first as a Professor and recently as IIMA Society and Board member. He is Co-founder of the National HRD Network and Academy of HRD. He initiated the HRD Function and movement in the country along with Udai Pareek in mid-seventies starting with Larsen & Toubro, SBI, BEML and various other organizations. While at IIMA he taught OB, HRD, Social Development & Entrepreneurship, chaired various Programs, and started a Leadership Development methodology similar to what is now known as 360 Degree feedback. Authored over 60 Books (Effective People, HRD Missionary, Nurturing Excellence-IIMA, Managers who Make a Difference, Future of HRD, etc.). Dr. Rao received many awards including Ravi Matthai Fellow from the AIMS and worked as consultant to UNDP, UNESCO, USAID, Commonwealth Secretariat in various countries.